What were they thinking! That's the question that went through my mind as I stared at pictures of these celebs. 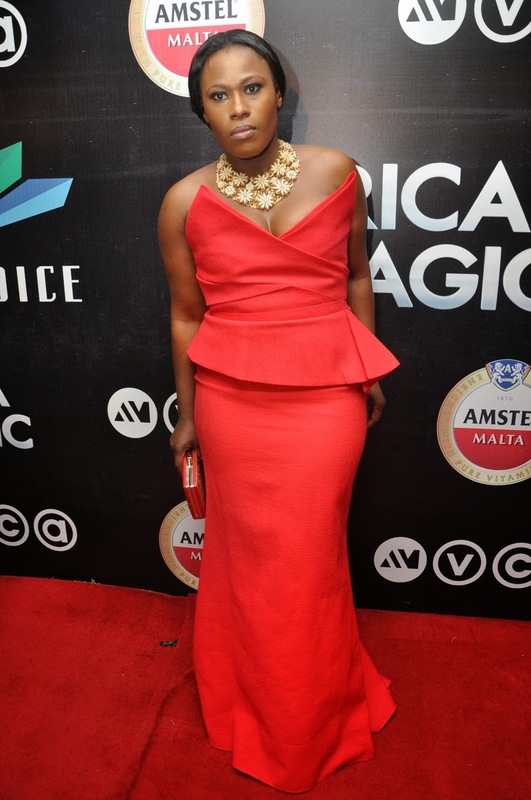 Did Uche Jumbo actually think, she could pull of the Charlise Theron Grammy look with this dress? For one thing, the dress has to be completely form fitting for it to come out alright and requires a taller and more slender person to wear it. Hence the complete difference in the look. 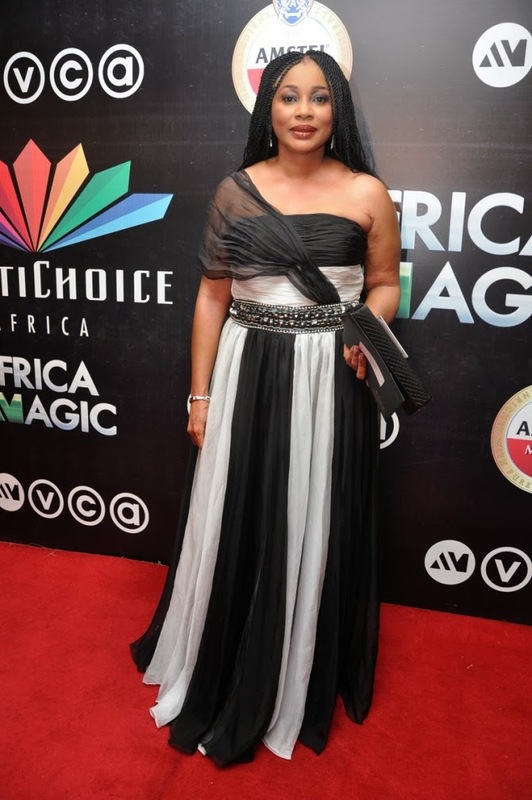 Linda is one of my fave style celebs but this time her stylist got it all wrong. For one, Linda has added some not-so-cool weight she needs to burn off, but not withstanding. Her stylist should have taken that into consideration and ensured the dress was a perfect fit, before having her client wear it. Linda herself should have taken one look in the mirror and realized that the dress was not for her. Two words for this outfit? Boring &Clumsy. Beverly! How could you fall our hand like this? Beverly style has, always been edgy, unique and fresh on the re carpet since she came to our notice. 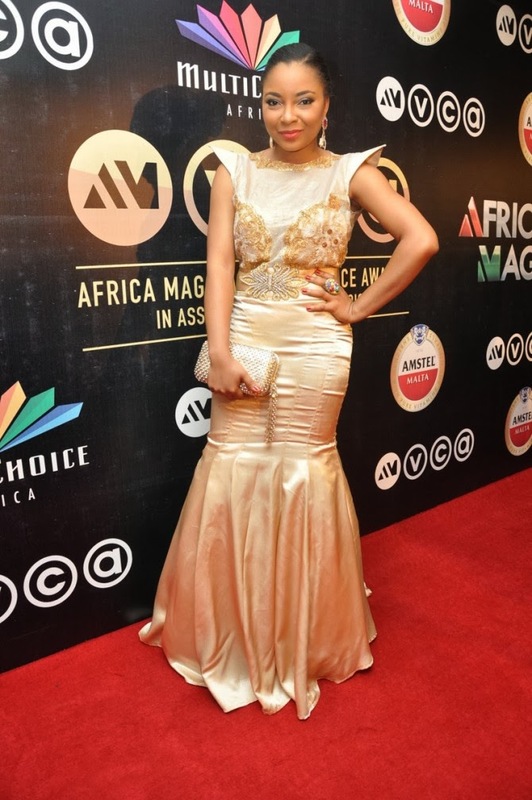 Her choice of outfit to this year AMVCA totally under-whemed us. The off-shoulders sleeves were pulled too low, giving her a her body, shape and stance a weird off- kilter look,, plus her make-up was completely off for the look. Clarion Chuwkura...... hmmmmm..... I was taught to respect my elders so i will refrain from commenting and say..."I hope you do better next time".